Running for fitness is important for maintaining proper health and weight, but it isn’t always easy on your feet. If you are a runner and do not take proper precautions, you might be more prone to foot and ankle injuries. And when injuries occur, it prevents you from continuing with your cardio workout. Let’s take a look at some important steps you can take to not only improve your health through exercise, but also to maintain healthy, pain-free, fit feet. Before beginning any exercise routine, it is essential to start with proper stretching. If warmed up properly, the strain on muscles, tendons and joints will be reduced. Stretching before you run or exercise will take only five to ten minutes and should be conducted in a stretch/hold/relax pattern without any bouncing or pulling. The most important area to stretch is the back of the leg and thigh muscles. Wall push-up – Face a wall with feet flat on the floor and knees locked. Lean into the wall, keeping feet flat on the floor and hold for 10 seconds as the calf muscle stretches. Then relax. Hamstring stretch – With your foot and knee straight and locked on a chair or table, lower your head toward the knee until the muscles are tight. Hold your count for 10 seconds and then relax. Lower back stretch – In a standing position keep both legs straight with feet spread apart slightly. Bend over at the waist and attempt to touch the palms of your hands on the floor. Hold the stretch for 10 seconds and repeat. Maintaining proper stretching before and after running, or with any other exercise, will give you a greater chance of avoiding any muscle strains or pains. Consult your podiatrist for any advice on proper stretching routines before exercising for the best results. One of the most common running pains is known as runner’s knee, which is all around knee pain. One of the most common causes of runner’s knee is excessive rolling in and down of the foot. Arch supports prescribed by your podiatrist are the best way to alleviate the problem. Occasionally, rubber pads in the arch of the show may help as well. Another common running pain is shin splints, which are painful and appear at the front and inside of the leg. Shin splints are caused by running on hard surfaces, over striding, muscle imbalance or overuse. Treatment includes changing your running technique or an insertion of an orthotic device in your shoe. 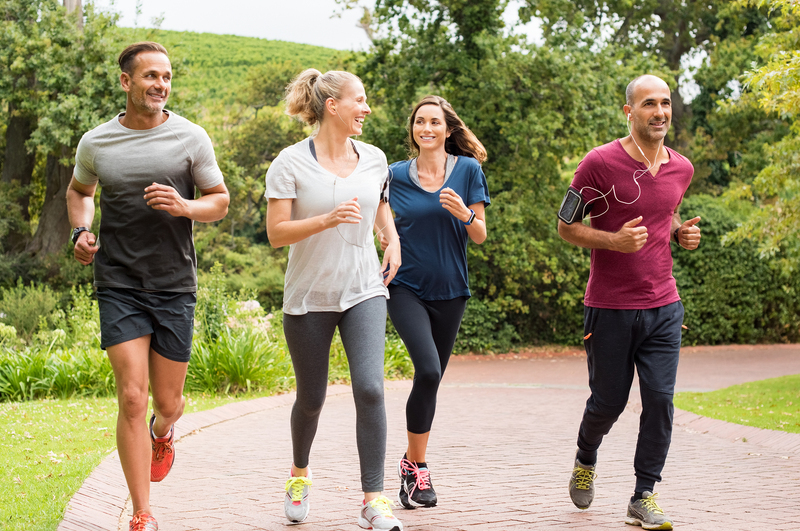 If you are a beginning jogger or runner, or if you are about to begin an exercise program, it is important to establish a relationship with your podiatrist. When you visit Dr. Lace Greiff, he will start by examining your feet to identify potential problems, discuss conditioning, prescribe an orthotic device that fits into a running shoe, if needed, and recommend the best style of footwear for your feet. Frequent runners should also visit the podiatrist regularly to check for potential stress on the lower extremities. During a 10-mile run your feet make 15,000 strikes, at a force of three to four times the body’s weight. It is important to stay on top of your feet and not cause pain or injury. Give your feet a break and consult your podiatrist for any problems or issues that may arise while running. Schedule a consultation today at Great Neck Podiatry with convenient locations in Bronx, NY and Great Neck, NY. Call (516) 829-1028 now or click here to fill out a form online.